The Engineering Innovation Office does not handle transcript requests. 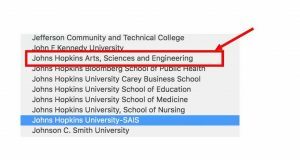 All transcript requests are handled by the Johns Hopkins University Office of the Registrar. Please click here for information on how to obtain a copy of your transcript. You may be asked to provide a six-digit Hopkins ID; to find this ID, login to https://sis.jhu.edu and look in the upper-right corner of the screen. If you have any questions, please contact the JHU Transcript Coordinator at 410-516-7088. 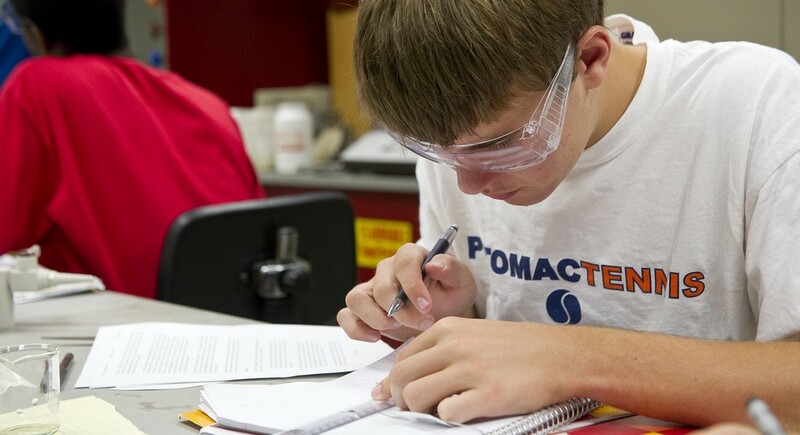 Students who request electronic transcripts will need to identify the school that they attended. 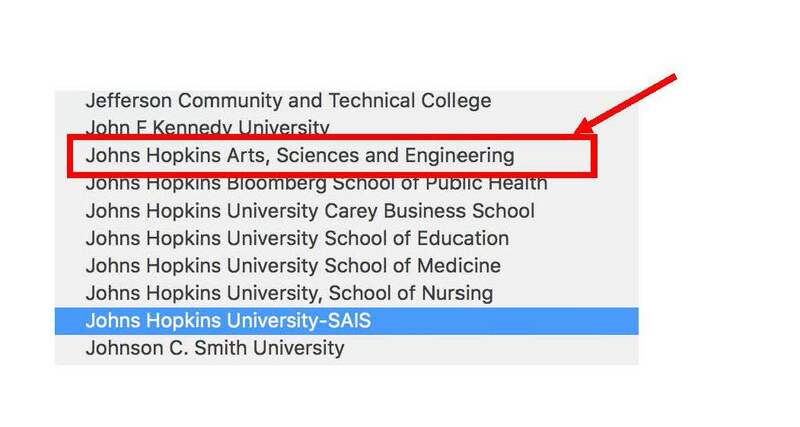 Please select Johns Hopkins Arts, Sciences and Engineering.